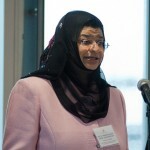 HE Dr. Rawya Saud Al Busaidi, PhD from Oxford University, was the first woman in the Sultanate of Oman to be appointed to full ministerial rank, and has held the post of Minister of Higher Education since March 2004 when she was also appointed as Chair of the Sultan Qaboos University Council and Deputy Chair of the Council of Higher Education. Among the other key posts currently held by Her Excellency are that of Deputy Chair of Oman’s new Science Research Council, and Chair of the Board of the College of Law. She has initiated major projects for the reform and quality improvement of Education in Oman, including a Strategic Plan for all of Education in the Sultanate for the period 2006-2020, as well as a project to convert five of Oman’s government Colleges of Education to institutions specializing in a range of programs selected to reflect the growing diversification of Oman’s economy. She is also active in the GCC region where she is leading a project to develop common standards for the professions, as well as a regional Quality Assurance network. His Excellency Sultan bin Hamdoon Al Harthi is mayor of Muscat, the Sultanate of Oman’s capital and its largest city. 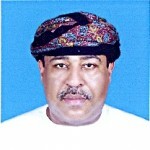 (The equivalent title in Oman is Head of Muscat Municipality and the Municipal Council.) In addition, he chairs the Sohar Development Office, which directly supervises urban planning for Oman’s Sohar district. He has held numerous other governmental positions, including Undersecretary for Heritage Affairs in the Ministry of Heritage and Culture. Aside from these government roles, His Excellency is chairman of the board on some of Sultanate’s largest companies, including Oman Telecommunications Company, Oman Mobile, The Wave, Haya Water Company, Oman Environmental Services Company, and Waterfront Investments. His Excellency is ranked 255th in “Power 500–the World’s Most Influential Arabs” listed by Arabian Business Magazine. He received his BA and MA in Architecture from the University of Arizona. Ambassador Al-Mughairy was appointed as Ambassador Extraordinary and Plenipotentiary of the Sultanate of Oman to the United States of America on December 2, 2005. 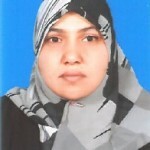 She also serves as Chair, Sultan Qaboos Cultural Center’s Oversight Board. 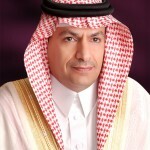 Ambassador Al-Mughairy is an economist with an extensive business background. Since taking over this position, she has been a strong advocate for the U.S.-Oman Free Trade Agreement and has focused much of her energy on improving relations between the U.S. and Oman. As the first woman to represent an Arab country as an Ambassador in Washington, Ambassador Al-Mughairy wants to improve the image of Arab women in the United States. Prior to her work in diplomacy, she served many roles in Oman’s Ministry of Commerce and Industry and the Omani Center for Investment Promotion & Export Development. H.E. obtained a B.A in Business Communications from the High Polytechnical Institute in Cairo, and an M.A. in Economics from New York University, New York. Ambassador Elizabeth McKune assumed the position of Executive Director of the Sultan Qaboos CulturalCenter in 2007, after 33 years as a Foreign Service Officer. From 1998-2001, she was Ambassador to the State of Qatar. While in the State Department, Ambassador McKune also spent over 17 years abroad in Israel, Tunisia, Egypt, Lebanon, the Sultanate of Oman, Iraq, and Great Britain. Stateside, she held a deputy assistant secretary position as Deputy Executive Secretary of the State Department. Other senior positions included Director of the Office of Northern Arabian Affairs, Director of the Office of Pacific Island Affairs, Director of the Pan-Arab Media Outreach Center, and Advisor to the Commandant of the Industrial College of the Armed Forces (ICAF). Ambassador McKune co-authored The National Security Council Process: The National Security Council and the Interagency System. For her work at ICAF, she received DoD’s Joint Civilian Service award. In addition, Ambassador McKune is the recipient of State’s Meritorious, Superior and Senior Performance Pay awards. She has a B.A. from Carleton College and an M.A. from the Johns Hopkins School of Advanced International Studies. She also is a “Distinguished Graduate” of the National War College. Executive Chairman of Arabian Company for Water & Power International (ACWA PI), a Company that focuses on development, operation and maintenance of projects for the production of water and electricity, transporting and distributing and conducting all related activities. Mohammed is also the Chairman of Abdullah Abunayyan Group of Companies / Abunayyan Holding Co. (AAG/AHC). AAG provides integrated solutions in water, oil, gas, and power applications. AAG/AHC incorporates a group of companies engaged in trading, manufacturing, services, and investment in diverse markets. AAG/AHC is also a turnkey partner for water and energy applications. Furthermore, Mohammed is Chairman and member of the Board of Directors of several Private and Public Shareholders Companies in Kingdom of Saudi Arabia. He participated in several international conferences related to power, water and numerous business issues. Jamal joined Deutsche Bank AG in Saudi Arabia as CEO and Head of Corporate and Investment Banking in June 07 after spending 10 years with Arab National Bank (ANB). While at ANB, Jamal occupied various roles the latest of which is Head of Merchant Banking Group, covering three departments: Capital Markets & Structured Finance, Project Finance and Private Equity & Strategic Investments. 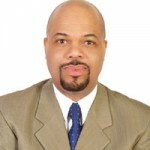 Jamal’s prior experiences include corporate banking, corporate finance and syndicated lending. He holds an MBA in Finance and Banking and an engineering degree and has attended several specialized training programs including executive education at INSEAD. Dr. Rawas is the Chief Executive Officer of Oman Telecommunications Company (Omantel), which is the first telecommunications company in Oman and the primary provider of Internet Services in the Sultanate. Prior to his current post, he served as the Managing Director – Oman Mobile. Dr. Rawas holds a PhD in Computer Science and Artificial Intelligence from the Sussex University, UK, 1997. In the academic field prior to his joining the Telecom Sector, Dr. Rawas served in various academic and leadership positions at the Sultan Qaboos University (SQU). His last assignment was the Dean of Educational Services. 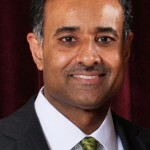 Dr. Rawas is still serving in various educational and technological policy forums in the Sultanate and regionally, these include: Member of the Higher Education Council; Member of the National Accreditation Council; Member of the Board of Governors for the Higher Technology Colleges; Member of the Board and Treasure of the Sultan Qaboos Cultural Center in Washington, DC, United States. Dr. Khalfan Al Barwani is an economist at the Central Bank of Oman. Prior to his current role, he served as a Senior Analyst at the Bank and held several positions at Petroleum Development of Oman (PDO), including: Deputy to the Head of Drilling Finance and Head of Finance for Exploration, Geosciences, and Corporate Directorate. He earned his Bachelors degree at the Florida Institute of Technology, before going on to receive his M.A. in Applied Economics from American University, a second M.A. in International Economic Policy from Claremont University and his PhD in Economics in International Money and Finance from the same institution. He has written extensively on monetary, fiscal, and financial issues in the region and lectures part time at Sultan Qaboos University in Muscat, Oman. Dr. Iman bint Said bin Khalifa Al Busaidiya is a Studies Specialist at the Diwan of the Royal Court in Muscat, Sultanate of Oman. She earned her B.A. in Comparative Literature from the American University in Cairo, her first M.A. in Corporate Communications from Duquesne University in Pittsburgh, Pennsylvania, and a second M.A. in International Studies from Claremont University in California. In 2006, Dr. Al Busaidiya was awarded a Ph.D. in Political Science, also from Claremont Graduate University. Dr. Al Busaidiya is the current Deputy Executive Director of the Sultan Qaboos Cultural Center. 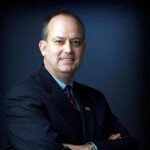 Edward Burton was appointed President and Managing Director of the U.S.-Saudi Arabian Business Council in March 2006. In his position, he works with the public and private sectors to promote the interests of the U.S.-Saudi Arabian business relationship. The U.S.-Saudi Arabian Business Council was established in December 1993 to improve the mutual knowledge and understanding between the private sectors of the United States and Saudi Arabia, and to promote trade and investment between the two countries. Over the years, Mr. Burton has counseled numerous Fortune 500 companies as well as middle tier firms in a variety of industries such as construction, medical and pharmaceutical, defense & security and technical services. Prior to joining the Business Council, Mr. Burton served as the Commercial Attaché at the American Embassy in Riyadh, Saudi Arabia. Mr. Burton holds a Bachelor of Arts degree in Political Science from the University of Charleston and a Doctor of Jurisprudence degree from the Dickinson School of Law. He practiced law in New Jersey with the firm Cooper Levenson. He also received certified international trade and management training at the Thunderbird School of International Business and the Harvard Business School of Publishing. She works out of Parsons’ Washington D.C. office, and her duties include assessing new markets, cultivating Parsons’ involvement in new global projects, ensuring that multi-Division pursuits take best advantage of global resources and key technical personnel by providing a point of contact and clearinghouse for such opportunities. She is a licensed professional engineer in Pennsylvania and a certified international value engineering specialist. After earning a five-year civil engineering degree from the Polytechnic Institute of Cluj in her home country of Romania, Susana spent two decades working in design and construction management of infrastructure projects. She began her career in the bridge design department of the Pullman Company in Pittsburgh, Pennsylvania. Later, she worked in construction management of large infrastructure projects. Most notably, she was one of the project managers for the $500 million, 13-mile I-279/579 new infrastructure construction project and the $1 billion Pittsburgh International Airport new midfield project, both in Pittsburgh. 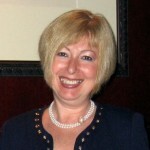 Susana has spent the past decade in executive positions in marketing and strategic planning. Yusuf Giansiracusa has worked in Saudi Arabia for the last 20 years representing Saudi clients as well as foreign clients doing business in the Kingdom and abroad. He represents a number of the Kingdom’s prominent industrial enterprises and several of the leading commercial and industrial families in the Kingdom. Yusuf has a broad range of experience in commercial and corporate transactions, licensing, industrial and infrastructure projects, OGP, and private client matters. In association with Alsulaim Alawaji & Partners Law Firm, Yusuf is Partner-in-Charge of the Riyadh Office in Saudi Arabia. Amer Kayani is the Minister Counselor for Commercial Affairs for Saudi Arabia and Bahrain for the U.S. Commercial Service based at the U.S. Embassy Riyadh. His extensive experience in the Middle East and North Africa include his role as the Regional Senior Commercial Officer for Egypt, Lebanon, and Libya, Regional Senior Commercial Officer for Turkey, Armenia, Azerbaijan, Georgia, North Cyprus, Turkmenistan, and Uzbekistan, Commercial Counselor in Pakistan, and Commercial Attaché in Israel. He also served as Director at the U.S. Department of Commerce’s office in Hawaii, and in various positions in California and Washington, D.C.
Mr. Kayani is a career member of the United States’ Senior Foreign Service, Class of Minister Counselor. Previously, he held positions at the Federal Deposit Insurance Corporation, and the U.S. Government Accountability Office. A recipient of the Superior Honor Awards numerous times, he was also awarded the Gold Medal and a Bronze Medal for distinguished achievements in the Federal Service. In addition, his persistent efforts for U.S. companies earned him the “IP Award for Excellence in International Intellectual Property Advocacy” from the Pharmaceutical Research and Manufacturers of America (PhRMA). Mr. Kayani earned his B.A. in International Relations from the University of Southern California and Masters in Economic Development and Management from the University of Pittsburgh. His foreign languages include Arabic, Hindi, Punjabi, Turkish, and Urdu. Robert Palmer is Vice President – Production Engineering for Oxy Oil and Gas, an affiliate of Los Angeles-based Occidental Petroleum Corporation (Oxy) — an international oil and gas exploration and production company and the fourth-largest oil and gas company in the United States. Mr. Palmer began his career with Oxy in 1977. He has held a number of progressively responsible engineering and management assignments with Oxy in the United States, Peru, Russia, Oman and Argentina. Prior to his current position, he served as President and General Manager of Occidental Argentina Oil and Gas. Mr. Palmer holds a B.S. in Electrical Engineering from Louisiana State University and completed the Program for Global Leadership at Harvard Business School. David L. Porges was elected President and Chief Executive Officer of EQT Corporation on April 21, 2010 and Chairman of the Board in May 2011. Mr. Porges joined EQT Corporation on July 1, 1998 as Senior Vice President and Chief Financial Officer and was promoted to Executive Vice President in 2000. He was elected to the Board of Directors of EQT in May 2002. In January 2005, Mr. Porges was named Vice Chairman, Executive Vice President — Finance and Administration. In 2007, he was promoted to President and Chief Operating Officer. He also served on the Board of Directors of Westport Resources from 2000 until that company was acquired in 2004. Mr. Porges joined EQT from Bankers Trust Corporation. After joining Bankers Trust as an Associate in their Energy Group in 1987, he was subsequently promoted to Vice President, and then to Managing Director. He worked with the energy industry throughout his 11 years there, working first in mergers and acquisitions, then in structured finance, risk advisory, and finally with their BT Wolfensohn strategic advisory group. Prior to joining Bankers Trust, Mr. Porges spent seven years with Exxon Corporation in various managerial positions, first with their Asian headquarters in Houston and later with its Esso Australia unit in Sydney and Melbourne. A Chicago native, Mr. Porges holds a Masters degree in Business Administration from the Stanford University Graduate School of Business and a Bachelor’s degree in Industrial Engineering and Management Sciences from Northwestern University’s McCormick School of Engineering and Applied Science. He serves on the Board of Directors of the Allegheny Conference on Community Development, City Theatre in Pittsburgh, Pittsburgh Zoo and PPG Aquarium, the Pittsburgh Cultural Trust, the Carnegie Museum of Art, the American Natural Gas Alliance, Inc. (ANGA), and Interstate Natural Gas Association of America (INGAA). 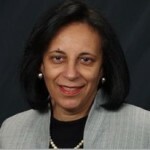 In addition, Porges is a member of the McCormick Advisory Council for the Robert R. McCormick School of Engineering and Applied Science at Northwestern University, the Board of Trustees of the Winchester Thurston School and the Pennsylvania Business Roundtable. 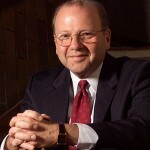 Jared Cohon has been president of Carnegie Mellon University since 1997. He came to Carnegie Mellon from Yale, where he was dean of the School of Forestry and Environmental Studies from 1992 to 1997. He started his teaching and research career in 1973 at Johns Hopkins, where he was a faculty member in the Department of Geography and Environmental Engineering for 19 years. He also served as Assistant and Associate Dean of Engineering and Vice Provost for Research at Johns Hopkins. Dr. Cohon earned a B.S. degree in civil engineering from the University of Pennsylvania in 1969 and a Ph.D. in civil engineering from the Massachusetts Institute of Technology in 1973. An author, coauthor, or editor of one book and more than 80 professional publications, Dr. Cohon is an authority on environmental and water resource systems analysis, an interdisciplinary field that combines engineering, economics and applied mathematics. He has worked on water resource problems in the United States, South America and Asia and on energy facility siting, including nuclear waste shipping and storage. In addition to his academic experience, he served in 1977 and 1978 as legislative assistant for energy and the environment to the late Honorable Daniel Patrick Moynihan, United States Senator from New York. President Bill Clinton appointed Dr. Cohon to the Nuclear Waste Technical Review Board in 1995 and appointed him as chairman in 1997. His term on the Board ended in 2002. President George W. Bush appointed Dr. Cohon in 2002 to the Homeland Security Advisory Council and President Barack Obama reappointed him in 2009. During his presidency, Carnegie Mellon has continued along its trajectory of innovation and growth. Priorities have included: undergraduate education; new interdisciplinary initiatives in information technology, biotechnology, energy and environment, and the fine arts and humanities; diversity; international initiatives; and the economic development of southwest Pennsylvania. 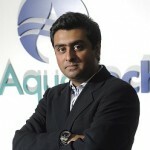 Devesh Sharma is Managing Director and Chief Commercial Officer of Aquatech International. Established in 1981, Aquatech is a global leader in water purification technology for industrial and infrastructure markets with a focus on water scarcity solutions such as thermal desalination, membrane desalination, water reuse, and zero liquid discharge. He has a degree in Chemical Engineering and Industrial Management from Carnegie Mellon University, Pittsburgh, USA. Bill Flanagan is Executive Vice President—Corporate Relations for the Allegheny Conference on Community Development and its affiliated regional development organizations: The Pennsylvania Economy League of Southwestern Pennsylvania LLC, the Pittsburgh Regional Alliance and the Greater Pittsburgh Chamber of Commerce. Bill supervises Investor Relations activities for the Conference and Affiliates, including fundraising, membership services and educational programming. He oversees organizational communications. In this role, Bill also hosts “Our Region’s Business” on WPXI-TV, WJAC-TV, WTOV-TV and the Pittsburgh Cable News Channel (PCNC), a program the Conference produces in partnership with WPXI-TV. As President of The Pittsburgh G-20 Partnership in 2009, Bill helped to organize the public/private partnership of organizations from across southwestern Pennsylvania that came together to welcome the world for the Pittsburgh Summit. 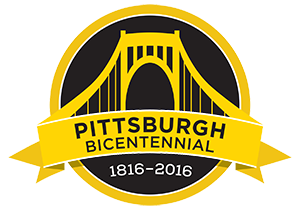 With the City of Pittsburgh, Allegheny County and VisitPittsburgh, the Allegheny Conference was one of the four founding members of the partnership. As Executive Director of Pittsburgh 250, the celebration of the 250th anniversary of the naming of Pittsburgh in 2008, Bill supervised a multi-year, 14-county initiative that included signature projects and events, along with grassroots initiatives planned by a 200 member commission and involving more than 300 partners and supporters. Prior to joining the Conference in September 2001, Bill had covered the economy of southwestern Pennsylvania almost 20-years, much of it as Money Editor of KDKA-TV, where he was Pittsburgh’s only broadcast reporter devoted exclusively to business and personal finance, and where he hosted “The Sunday Business Page.” Bill came to the region in 1982 as a general assignment reporter for the television station. He has written about personal finance for The Pittsburgh Post-Gazette and KDKA-AM. For more information regarding the Business Conference & Sponsorships, please contact Maria Hastings at 412.995.0076 or maria@pittsburghmideastinstitute.org.